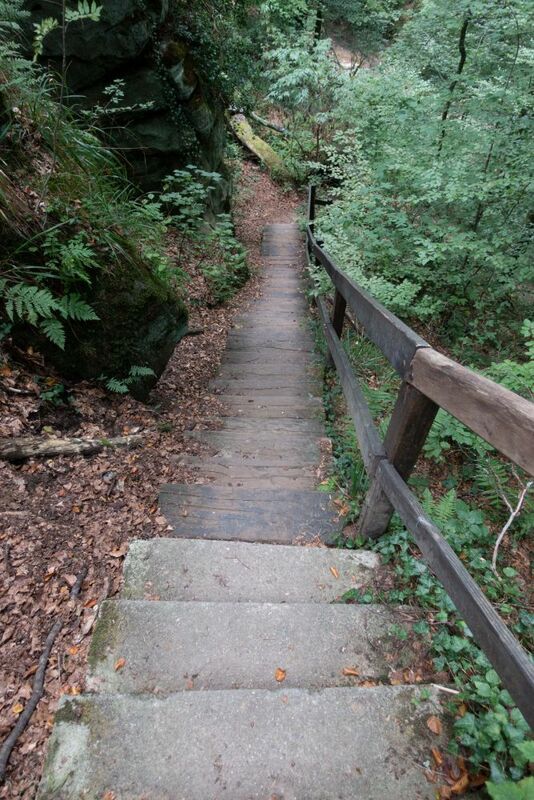 At the beginning of this trail, many stairs into the steep valley of the Biersbaach will require some surefootedness. A quite exhausting ascent follows, which will lead you along the edge of the forest, partly over flat terrain, partly in a constant up-and-down to the narrow valley of the Alsbaach. 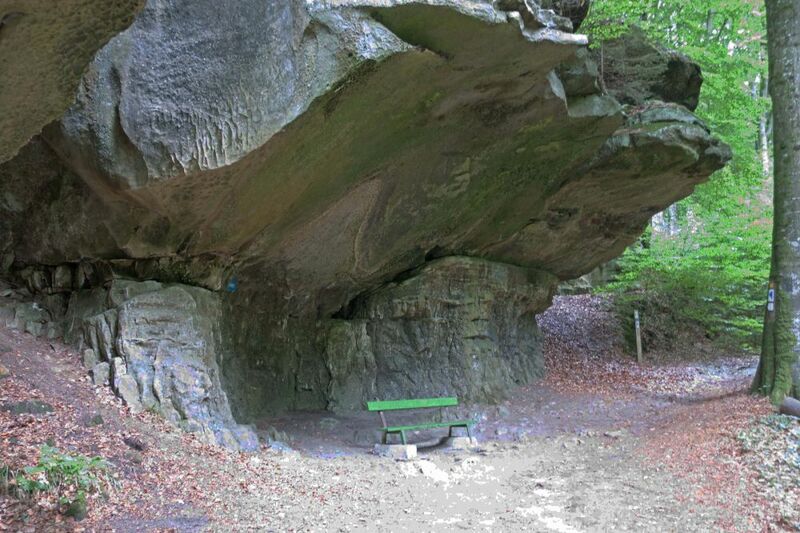 Here you will find the impressive rock formation Schelmelee, one of those typical overhanging rocks which have served humans as shelter since the stone age and up until the recent past. 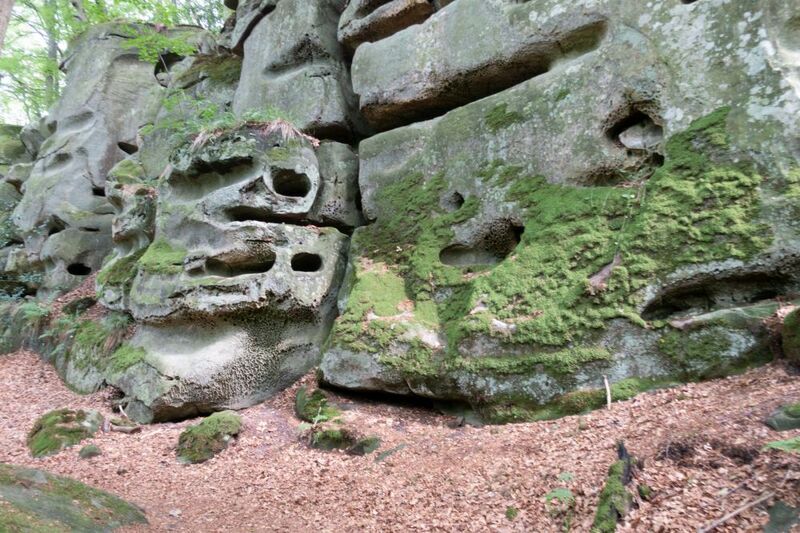 A quarter of an hour later, you will reach one of the most spectacular collection of rocks on the grounds of Consdorf, the Rammelee. 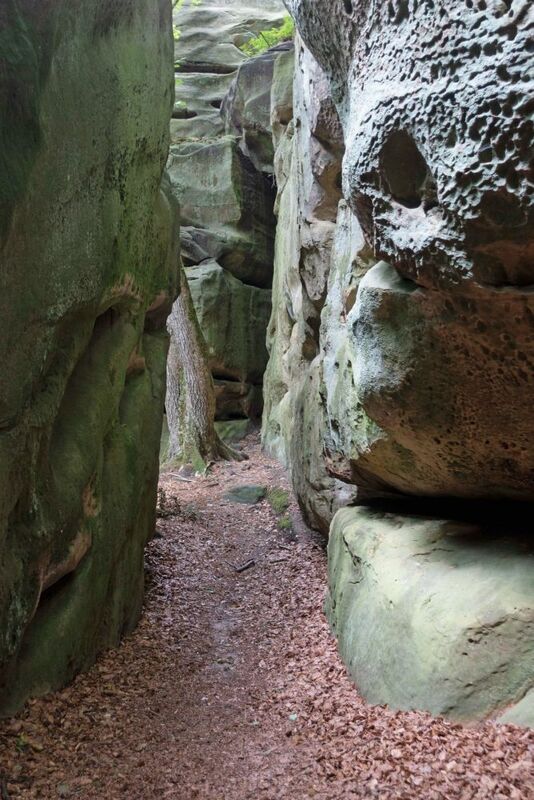 This entire, wildly romantic area captivates visitors with its curious shapes and rock faces in the midst of an impressive flora, especially the European holly (ilex aquifolium). Having crossed the breath-taking Rammelee up to the viewpoint, the flat path now soon leads you out of the forest. Continuing on a tarred path which meanders through both forest and open fields with beautiful panoramic views of the village, you will soon find yourself in Consdorf again. 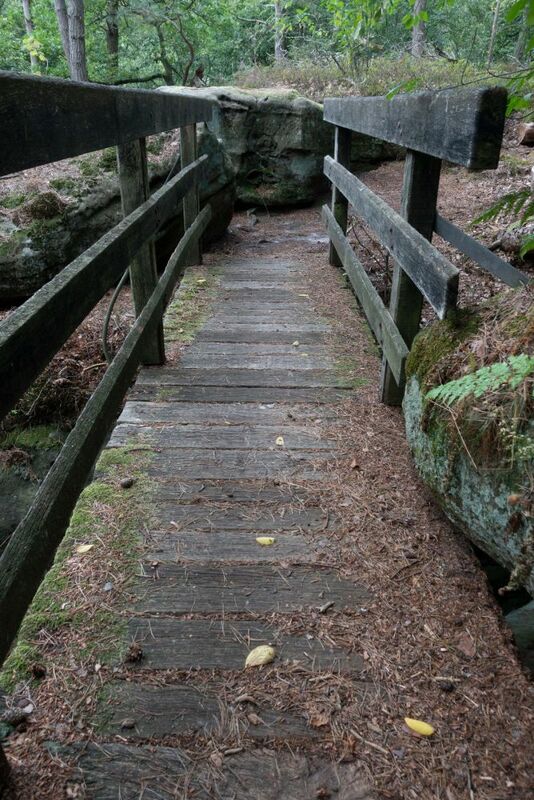 A last part of the trail, a forest path alongside the stream Biersbaach, will lead you back to your starting point after a last challenging climb up to Buergkapp.